We are a leading Manufacturer of microbrewery chemicals, textile processing chemicals, sugar processing chemicals, paper making chemicals, paper slimicide and paper chemical from Chennai, India. Chemtex provides a wide variety of Microbrewery chemicals to optimize production and efficiency while lowering the costs. Here at Chemtex we supply tailor made chemicals for cleaning and effective sanitation in the microbreweries even other fields of application. Chemtex Speciality Ltd brings to you with our years of expertise as a sanitation specialist, Microbrewery chemicals that ensures optimal functions. 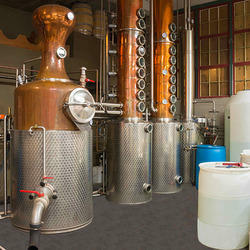 We mainly supply Microbrewery Chemicals for Passivation and CIP Sanitation. Acid passivation includes the usage of Nitric Acid; it creates a passive coating that reduces metal oxidation/ corrosion. While Caustic chemicals act as a disinfectant removing buildup of bio-foulants. Cleaning in Place is a technique for cleaning the inside surfaces of pipes, vessels, equipment, channels and related fittings, without dismantling. Chemtex provides a wide variety of chemicals for CIP Sanitation with a particular procedure to be followed. Chemtex Speciality Limited offers a complete range of finest quality textile processing chemicals for various applications in the textile industry. Poly Acid serves as an acetic acid substitute for textile dyeing and bleaching application, used for textile scouring and pre-enzyme treatment. Chemtex manufactures Textile Decolorizing Polymer that serves as a highly effective quaternary polymer compound used for color removal in textile and dyeing industries. It is used for treating wastewater from textile and dyeing industry. Chemtex offers finest quality of effluent treatment chemicals including range of polyelectrolytes, poly aluminium chloride, etc that help in flocculation and coagulation respectively. Coagulants like PAC, ferric alum, etc bring about the primary settling of suspended solids whereas flocculants like polyelectrolytes account for the secondary settlement of particles. Textile bleaching is one of the critical stages involved in the processing of textiles. Chemtex offers finest quality of Textile Bleaching Chemicals including Poly Acrylic Acid, Hydrogen Peroxide, etc to help in the process of decolorization of the grease material into a suitable processing material through the processes of oxidative and reductive bleaching. 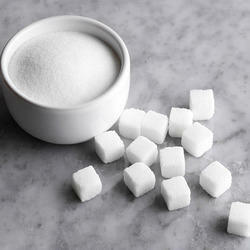 Chemtex Speciality Limited offers an excellent range of Sugar Processing Chemicals for various applications in the Sugar Processing Industry. Chemtex manufactures products that are based on quaternary ammonium compounds or dithiocarbamate which aids in controlling the growth of bacteria and fungi in cane to not only prevent contamination but also to enhance overall production. The Juice clarification process includes pH adjustment, clarification and settling of suspended solids. These steps are carried out with ease with the help of certain processing chemicals. 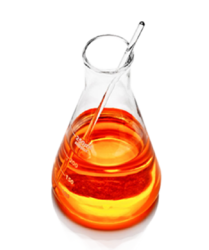 Syrup clarification process requires special chemicals like color precipitant for syrup, floatation aid and phosphoric acid for carrying out the clarification of syrup. Antiscalants help in the prevention of deposits within the mill diffuser or juice extractor machine internals as well as to remove any existing scales in the machine parts to help improve the overall efficiency. Chemtex even offers a wide range of Sugar Processing Boiler Treatment Chemicals exhibiting corrosion inhibitors, antiscalants, pH booster chemicals, oxygen scavengers, descaling chemicals, etc. The pH Reducer chemical applied in the Sugar Processing Industry serves as a liquid acidic formulation that reduces excess alkalinity from the boiler feed water. Low alkalinity aids in preventing scale and corrosion and cuts down blow down rates. Acid Inhibitor, offered by Chemtex Speciality Ltd, is specially designed to help prevent environmental acid attack on metal components without changing the acidic effect or in some occasions even enhancing the acid effect in the given process or application. Chemtex’s range of Polyelectrolytes especially for Sugar Processing Industry, consists three main types: Anionic, Cationic and Non-Ionic, all of which helps in the treatment of effluents discharges. Chemtex Speciality Limited offers a range of different Processing Industry Chemicals that can be utilized in various applications of the process manufacturing of the mentioned industrial sectors. Papermaking Chemicals involve dealing with processes like raw material processing, pulping, screening, filtering, refining, etc. These processes or applications require the assistance of chemicals that will make the operations smooth and hassle free. Chemtex Speciality Limited manufactures a range of finest quality Papermaking Chemicals to be utilized for various applications in the Paper & Pulp Industry. The product range that we cater includes Paper Retention Aid, Paper Flocculant, Paper Descalant, Paper Slimicide, and Paper Antiscalant. These products not only help in minimizing the critical issues faced during the process of paper making but also aids in enhancing the overall productivity of the system. Chemtex Speciality Limited offers a range of different Processing Industry Chemicals that can be utilized in various applications of the process manufacturing of the mentioned industrial sectors. 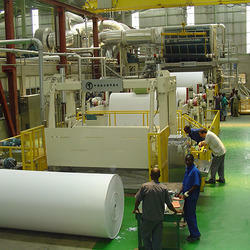 Chemtex Speciality Limited offers a complete range of finest quality products used as Slimicide in the Paper Industry. 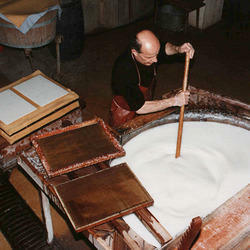 Paper Slimicides aim at the removal of slimes which happens to be a common problem in paper making. The aqueous environment of a paper mill tends to attract the growth of slime. Starch products and various sugars from wood catalyze the growth of the same. All of the factors together render it to be an appropriate place for the growth of all kinds of microorganisms. These slime formations lead to corrosion problems, reduced efficiency of the paper making machines and poor quality products. Chemtex manufactures oxidizing and non-oxidizing slimicides which help to restrict the growth of slimes in paper stock as well as in the paper making machine. Chemtex Speciality Limited offers a range of finest quality chemicals used for various applications in the Paper and Pulp industry. 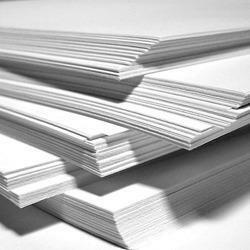 The entire product range covers all the critical aspects of papermaking. Paper Retention Aid products are high proficient polyelectrolytes designed for the purpose of retention and drainage in the Paper Making process. Paper Flocculant products include anionic and cationic flocculants for water treatment processes. They enhance the efficiency of settling, clarification, and filtration operations. Paper Descalant/ descaling chemicals are necessary for the maintenance of the equipments, offering excellent protection to industrial equipments from scaling. Paper Slimicides help remove formed and forming slimes. Paper Antiscalants help in the prevention of deposits within the machine internals as well as to remove any existing scales in the machine parts to help improve the overall efficiency. An acid neutralizer is used to help maintain the pH balance in many water systems. Acid Neutralizers raise the pH of acidic water to neutralize its acidic/ corrosive characteristics. It is a highly concentrated alkaline tailored to render acidic wash/rinse solutions safe for discharge. This detergent consistently meets the critical standards for the cleaning of goods commonly processed in sterile departments. Hydraulic fluid for Hydro mounts unit is a superior blend of glycols which is used as coolant antifreeze protection for heat transfer agent. It is blended with corrosion inhibitors designed to provide protection against corrosion of Copper, Aluminium, SS, MS, Low C-steel, etc. It increases system life and retarding glycol degradation rate. Use of the same is advantageous in terms of reduced maintenance cost and effective antifreeze protection and cooling of Hydro Mount Oils, Industrial coolants, and Cold Rolling Oils. Hydrotesting Corrosion Inhibitor providing short time protection on interior metal surfaces of fuel tanks during hydrotesting application. It contains an effective blend of surfactants and film forming dispersing agents, showing activity in a broad range of temperature and pressure. Antimony Trioxide is an inorganic compound that serves as the most important commercial compound of antimony. 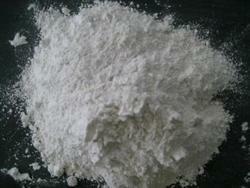 Antimony Trioxide is used mainly in fire retardant formulations for textiles, rubbers, plastics, paper and paints. Antimony Trioxide can be used as synergists for helping in enhancing the activity of halogenated flame-retardants by releasing the halogenated radicals stepwise to retard gas phase chain reaction of flame spread. Besides these applications, the product is also used by glass and paint manufacturers. 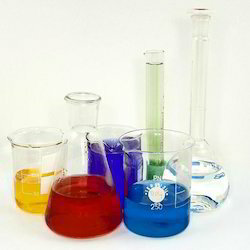 Glass manufacturers use it as a fining agent or as degasser (to remove bubbles). Looking for Industry Specific Chemicals ?